Seated at the helm of a 1976 Fender Duel Pro 10 Pedal Steel, Jamie Frost is playing guitar with all four limbs. Gingerly moving a steel bar across the strings with his left hand, he uses three finger picks on his right to do the picking; down below he’s moving his left foot along a series of pedals and operating a lever with his right knee. It seems, well, difficult. But he makes it look easy. Typically featuring two necks with eight or 10 strings, the pedal steel guitar evolved in the late 1940s from earlier multiple neck “console” lap steels, popular with Hawaiian and country & western musicians. Players looking to overcome the limitations of the flat bar used in steel guitar playing added a series of pedals and knee levers to change the pitch of select pairs of strings. It’s one of the most evocative sounds in American music, calling to mind rhinestoned cowboy suits, tears-in-beers and high-lonesome vistas (and if you’re in the right mood, perhaps a luau and a tiny-umbrella drink). And thanks to this local rock luminary, the moan of this most idiosyncratic instrument is once again filling Spokane venues. Frost, formerly of the Young Brians, Burns Like Hellfire, Rough Congress and a host of other local bands, was the guitarist in garage rock trailblazers The Makers and is currently turning heads and dropping jaws with local honky-tonk stalwarts Silver Treason and his newest project, Cursive Wires. He’s also been sitting in with local singer-songwriter Marshall McLean (Horse Thieves). Growing up and playing guitar in the golden age of alternative rock, Frost was more likely to be listening to REM or Husker Du than Porter Wagoner or Webb Pierce. “I remember hearing Byrds records and always being curious [about the pedal steel], but never thinking more of it,” he says. Though in his 20s he became more of a fan of country-rock bands such as the Byrds and the Flying Burrito Brothers, Frost says his first-hand exposure to the pedal steel was limited, partly for geographical reasons. “I’m sure if I had grown up in Arkansas, I would have had an uncle or something who owned one, but living in Spokane was a different story,” he says. “It’s a pretty amazing contraption,” he says, and contraption is probably the correct word. Peeking at the underside reveals a maze of metal parts, looking as if it were designed by a couple of guys in their basement. It is the archetypal analog instrument, with no auto-tune in sight. It’s a winding road that brought Frost to the contraption and its twanging sound. Like a number of bands, Silver Treason came together casually. 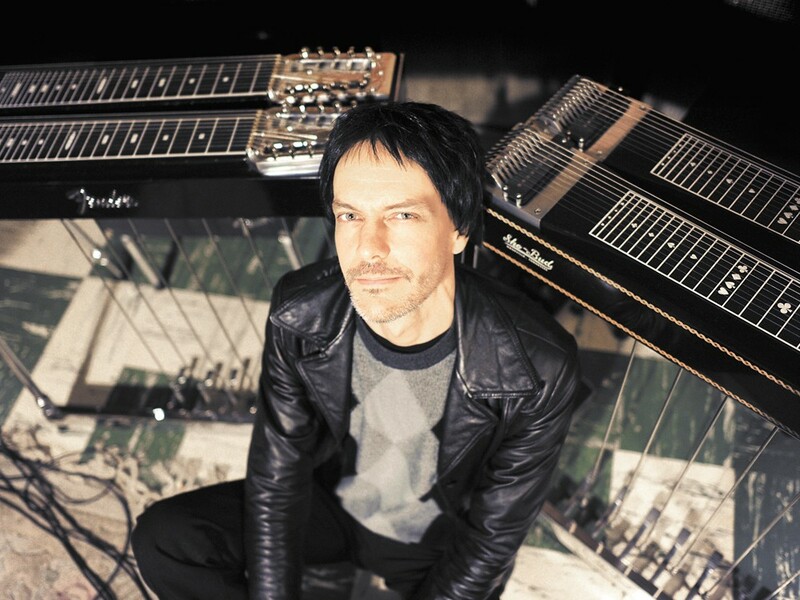 “I had never thought of playing pedal steel in a band — I was just going to add it to my arsenal as a guitar player,” Frost says. But singer Kevin Cameron had been playing country material as a solo act and the two old friends saw a mutual opportunity. “It was like, ‘Hey, maybe we should start one of those country-rock bands,’” he says. Frost adds the pedal steel sound to Cursive Wires, too: a band with a more straight-ahead rock ’n’ roll approach. “It’s definitely giving me a chance to stretch my playing out a little bit. The whole feel of the band is different and it turns into a nice challenge. More of a ‘Stonesy’ sound with a lot of alt-country ideas,” Frost says. The band features Brian Young from Burns Like Hellfire, Sam Foley, Lewis Petro and one-time Makers drummer Aaron Saye. “I needed to figure out how to sink in and defuse that extra stage energy,” Frost adds. And after 15 years of unhinged, feral Makers shows, it’s easy to imagine how drastic the change must have been. Not to mention the change of leaving a band that had changed everything.